City water homes with 5-6 people, or medium iron well water..
High-efficiency technology reduces salt usage by 25% and water usage by 65%. Each regeneration only requires 21 gallons of water. The SmartChoice II HE uses significantly less power and features an energy saving auto display turn off. Advanced electronics conserve water by recording water usage patterns and identifying plumbing leaks. 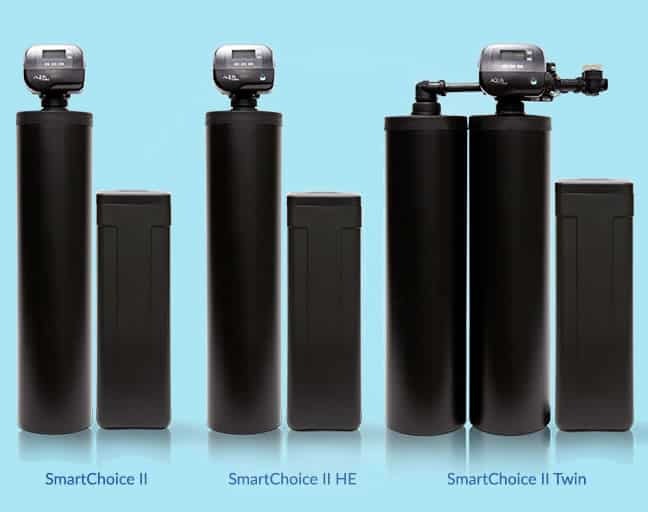 SmartChoice water softeners are carefully designed to make soft water easy for your family. Made with non-corrosive materials, the softener’s modular design and Smart Control Valve make the softener energy efficient, easy to maintain and intelligent. Every SmartChoice softener comes with free installation and lifetime exchange. We aren’t kidding. It really is the last softener you’ll ever have to buy. High-efficiency technology minimizes how much salt and water you use, and operates on ultra low power consumption. Water softening is based on how much water you use. The Smart Control Valve learns your water usage over time, so your softener only regenerates when it needs to. This saves energy and water. Although it may be years before the first service is required, the SmartChoice offers the strongest warranties in the industry. It really is the last softener you’ll ever have to buy. Pick up your salt and pay from your car at our salt drive-thru at every Aqua Systems location. Or, have salt delivered to your home. Each part is removable, making it easy to clean and maintain. If a part breaks, you don’t need to replace the whole softener. When you buy a softener, we’ll install it in your home for free. 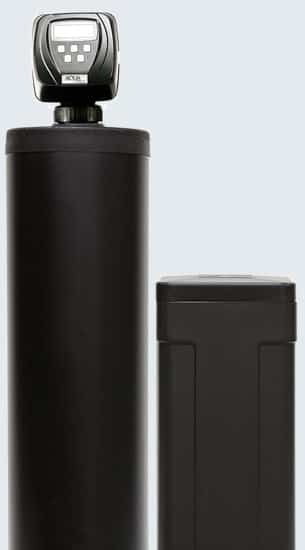 Have peace of mind that your water softener is installed correctly and working properly.